"Forget ennui: Peter Toohey makes the case that the simpler, everyday kind of boredom we all experience is far more important than the pretentious world-weariness of French philosophers. Being bored can be excruciating, but it can also spur people to the heights of creativity. 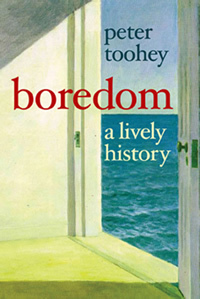 Toohey succeeds in making boredom interesting." "Yes. You do. There's nothing left to believe in anymore. All is fiction. Somehow, we have to invent our own reality. We have to make the unreal real. It's interesting to note that a sizeable minority of extremists are recent converts. They have nothing else to do. We are empty. You know that..." "Yes, I do... Everything, is boring." That short piece of dialogue comes from The Canal, a 2010 novel by the English writer Lee Rourke. Winner in 2010 of the Guardian's "Not the Booker Prize" novel award, The Canal has as its theme boredom. It is the first of a series of remarkably well-reported books and articles on the subject of boredom that have appeared during the last twelve months. The roots of this unexpected revival stem from the writing of the Norwegian philosopher, Lars Svendsen. Now a professor of philosophy at the University of Bergen, Svendsen is alleged to have been at a loose end after he'd completed his doctoral thesis. He used up his time while waiting for an academic post by composing the elegant A Philosophy of Boredom. That book appeared in Norwegian in 1999. It came out in English in 2004 and has gone on to be published in approximately another 20 languages. It's become an academic best seller. Lars Svendsen, as a result of his remarkable achievement, should probably be thought of as the father of what he coyly terms "boredom studies". But it is in the last twelve months that things have really got moving. Not long after Lee Rourke's The Canal there occurred what is perhaps the most eccentric and unexpected take on the emotion that I have encountered. I say this with full admiration for what Londoner James Ward has achieved. In London in December 2010 he organized a sell-out conference for 200 people that was engagingly entitled "Boring 2010". (Ward also has a blog related to the conference with the equally disarming title of "James Ward: I Like Boring Things".) I wish I had been there. His conference, it's been widely reported, "had speakers reading from bus schedules and paint-color catalogues and thinking out loud about the virtues of the English breakfast." That description is taken from August 2011's Elle Canada - where boredom was bracingly nominated as a "trend". At the trendy "Boring 2010" there was apparently even a musical interlude. An on-stage performer "slowly taped each key down" of a stage piano. The audience reaction to this performance is not reported, but James Ward is quoted as saying of the conference's theme that people "want Hollywood explosions, which is a shame because you have a richer relationship with the things around you by thinking about them." He links this celebration of the ordinary with the literary tradition exemplified in, for example, Georges Perec's Life: A User's Manual or in the cult novels of the American writer Nicholson Baker. A.O. Smith, film critic for the New York Times, picked up James Ward's admonitions in a widely publicized piece written with Manohla Dargis, "In Defence of the Slow and Boring" in the New York Times, June 3, 2011. Part of the aim of that article was to defend Terrence Malick's long and "dreamy" The Tree of Life which won the Palme d'Or at the 2011 Cannes Film Festival. The movie has been accused by some critics of being very boring. A.O. Smith, echoing James Ward, defends the loungueurs of the Tree of Life: "I derive great pleasure from some movies that might be described as slow or tedious. I would like to think there is room in the cinematic diet for various flavors, including some that may seem, on first encounter, unfamiliar or even unpleasant." David Foster Wallace might also have agreed were he alive to do so. His novel The Pale King, (reconstructed posthumously from Foster Wallace's notes and drafts by his editor) was published last March and puts the simple boredom of an existence working amidst the repetitions of the US tax office front and centre. As I've suggested elsewhere, The Pale King does not present living within the US tax office as a dire mirror of the boredom of modern life. The young IRS wigglers, all of them disturbed individuals, like it in there. A dependable and predictable domicile is what the IRS offers them. And Wallace shows how boredom and its celebration of the ordinary can alleviate the psychic highs and lows of these nervy nerds. Boredom and creativity (the focus of much of the discussion on boredom during the last year) have also been linked to daydreaming - which sometimes seems to exist as a by-product of being bored. Chris Fogle, the IRS GS-9 from The Pale King, extols the benefits of daydreaming: "I tend to do my most important thinking in incidental, accidental, almost daydreamy ways". You can see this too in the recent book by Billy Ehn and Orvar Löfgren, The Secret World of Doing Nothing, which has daydreaming at its very heart. Ehn and Löfgren believe that daydreaming enables individuals "to imagine new possibilities". The really odd thing about all of this ferment is that there's been such a discussion at all. Boredom is usually decried as a subject that's not just boring, but childish as well. Until Lars Svendsen published his book boredom was often viewed as a motivator for children's behaviour - that's outside of the strictly literary circles where academics such as Patricia Meyer Spacks wrote good books on subjects such as "existential" boredom in the novel. A very striking example of how boredom is understood to be embedded in the childhood experience is Norman Juster's classic children's book, The Phantom Tollbooth. It begins with a bored child: "there was once a boy named Milo who didn't know what to do with himself - not just sometimes, but always". Milo's voyage past the phantom tollbooth, via wonderful places such as the Doldrums, "where nothing ever happens and nothing ever changes" and which is inhabited by the Lethargarians who every day like to be "daydreaming from 8 to 9", takes up the novel. Milo's voyage becomes a moral tale showing how one little boy learned not to be bored. Boredom, just as it is for Alice in Wonderland, becomes the motivator for the action of the plot. Boredom is something quite normal in a child of Milo's age. But maybe not for adults. My book dawdled in on the tail end of this unexpected activity. There was, by now, not so much of a need for an apology for writing a book with a title such as Boredom: A Lively History (2011). Boredom had well and truly escaped the clutches of the kindergarten. What does my book add to this growing cairn? The basic claim that I have to make of boredom is that it is an emotion, a secondary or social emotion like shame, sympathy, envy, jealousy, gratitude and the like. I understand boredom as an emotion of mild disgust (bored people often say that they are "fed up") and one that is produced by temporarily unavoidable and predictable circumstances. My argument flows from this assertion and from this simple definition. If boredom is an emotion, it follows that, like all emotions, it is basically a good and useful thing. What then is an emotion? The function of emotions is to help humans to adapt profitably to their environments - to regulate the organism's inner world in keeping with the outer world of its environment. How in the world, you might ask, can as dreary a state as boredom perform such a role? Think of a straightforward emotion such as disgust. 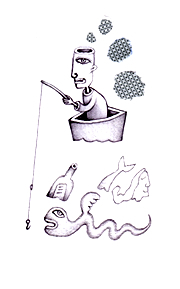 Its role is to steer humans away from commerce with toxic substances. Boredom, a first cousin of disgust, aims to do the same thing, but in a social setting. Its emotional function is to steer humans away from social situations that could do us harm. It's easy to imagine that an aversion to boredom is something that might be hardwired into human beings. In our early evolutionary stages, when activity equated with survival, you could speculate that boredom came to exist as a warning, a disgust-like warning perhaps, that inactivity was dangerous. If this is the case, boredom is a good thing. It's not something to be avoided. Its adaptive message should be welcomed. It's usual to say that there are three forms of boredom, simple, existential, and chronic. And that is what I have argued for. The simple form is definitely the one that is associated with children like Milo from The Phantom Tollbooth. Other examples? A very long speech or a long air flight can be boring, just as can a long religious service or even a long movie. Long and predictable they also seem to be inescapable. But of course they are escapable, for this form of boredom always comes to an end. The second form, termed "existential" (or sometimes "complex" or "deep" or even "philosophical") is claimed to be a very serious thing indeed. It can infect a person's very existence. It takes in many well-known conditions, conjured by such names as melancholia, depression, ennui, mal de vivre, world weariness, tristesse, taedium vitae, the Christian "demon of noontide" or spiritual despair, and the French "existentialist" nausea. It is the subject of most of the books written on boredom and it's easy to see why. If the first form of boredom tends to be associated with children, this second sort is strictly for well-read grown-ups. But I doubt that existential boredom is an emotion at all. It is usually defined along the following lines: as a powerful and unrelieved sense of emptiness, isolation, alienation and disgust in which an individual feels a persistent lack of interest in and difficulty with concentrating on his current interests. That state is no emotion, in my opinion, and bears no great relationship to the simple boredom of the child. This is what interests Lee Rourke. Chronic boredom, the third variety, closely resembles simple boredom. The difference, as the name suggests, is that it is unremitting. Anna Gosline reports in her 2007 Scientific American article "Bored to Death" that the chronically bored "are at higher risk for depression, anxiety, drug addiction, alcoholism, compulsive gambling, eating disorders, hostility, anger, poor social skills, bad grades, and low work performance." How does this happen? Flirting with the drugs, alcohol, and gambling produces heightened dopamine activity in the brain - dopamine offers a chemical reward for the performance of such activities. Research suggests that risk takers and the chronically bored may be the victims of a brain that is chronically short of dopamine. Risk-taking increases dopamine production and counteracts a person's sense of chronic boredom. For Tanonius Marcellinus, a most distinguished man of the consular rank at Campania and a most worthy patron as well, because of the good deeds by which he rescued the population [of Beneventum] from endless boredom, the entire people judges that this inscription should be recorded. This public inscription indicates that the emotion of simple boredom stretches way back beyond the Enlightenment. Boredom is a constant in human life - which is just what we'd expect of an emotion that in some ways can be linked with disgust. If boredom has a real historical status as a helpful human emotion, then it would be interesting to hear a little more on its benefits. If it's the case, as the Canadian neuroscientist Norman Doidge reports, that too much monotony can actually shrink brain size, then too much boredom - which is the same thing as monotony - is actually physically bad for the brain and may, God forbid, even shrink it. It might seem counterintuitive to say this, but boredom is a good thing because it acts as a warning signal that the circumstances provoking boredom are bad for the bean. The symptoms are telling you to step away from the circumstances provoking the boredom to preserve you health. 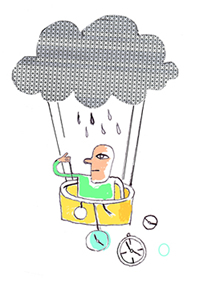 Boredom can often be understood in this counterintuitive way. For a researcher or an entrepreneur or an artist or a businessperson boredom acts as a signal that the current way of doing things isn't working out and even that it is tired. In this way boredom can become a spur to try out new things. This makes it a very beneficial thing for anyone who works in anything that could be considered mildly creative. And boredom can sometimes make a person stand apart from other people, from the world, and, odd as it may sound, even from themselves. Boredom in this way intensifies self-perception. This sort of self-contemplation, thanks to boredom, is not necessarily a mind altering experience, but it can help you get a better sense of yourself, your capabilities and your limits. Think of that endearing Titan of tedium, Ilya Oblomov, the protagonist of Ivan Goncharov's novel of the same name. His daily bruising with boredom led him to comprehend his own incapacity for, of all things, sexual activity: "he never surrendered entirely to a pretty woman," Goncharov explains, "and never became her slave or even faithful admirer, if only because intimacy with a woman involves a great deal of trouble". I wonder where will boredom go in the next 12 months? Not back to the kindergarten. Perhaps James Ward will hold a "Boring 2011". The link between boredom and the celebration of everyday life is very strong and perhaps Ward will do more with this theme. Let's hope. I suspect that interest is also liable to shift to daydreaming. Jonah Lehrer, the author of Proust was a Neuroscientist (2010) and a contributing editor at Wired is representative. Lehrer likes to link neuroscience with literature and daily life. He was been writing and speaking a lot about the benefits of daydreaming in just this context. Earlier this year he speculated, extravagantly, that "it's not until we're napping by the pool with a pina colada [at hand] - when work seems a million miles away - that we suddenly find the answers we've needed all along." Peter Toohey is a professor in the Department of Greek and Roman Studies at the University of Calgary. His previous books include Melancholy, Love and Time: Boundaries of the Self in Ancient Literature. He lives in Calgary, Canada.